In the battle for cloud dominance, change is the only sure bet. The "cloud wars" are fought on one of the tech sector's most dynamic and competitive landscapes. The stakes are higher and the ability to declare a clear winner becomes more difficult each year, and this year will be no different. In 2019, Gartner projects the public cloud space will be worth more than $200 billion - a figure large enough to keep perennial players like Amazon and Google fighting to gain an edge. In a crowded space with massive players, uncovering new markets and developing the features necessary to attract customers becomes increasingly difficult. Every company in the cloud wars constantly seeks a differentiator - and in 2018, Microsoft found theirs in the strategy of offering hybrid-cloud focused solutions. By targeting these features toward insurance and financial services - a market still somewhat lagging in cloud adoption - Microsoft and its Azure product shifted the conversation about cloud services in a sector hungry for innovation, and set itself up to make further strides in 2019. Entering 2019, competition continues to be fierce among the cloud's three big market leaders: Amazon, Microsoft and Google. But it's important to note the race wasn't always so tight. AWS looked on pace to dominate the market as recently as 2015, when it owned a 30 percent market share in the Infrastructure as a Service (IaaS) game. But the determination and investments of Microsoft and Google - along with the persistence of smaller players like IBM, Alibaba and Oracle - narrowed the competitive gap in recent years. In 2017, Microsoft proved to be a threat to Amazon when it came to revenue. Writing for Forbes, Oracle Chief Communications Officer Bob Evans noted that Microsoft's strategy of building out its Azure Stack with Platform as a Service (PaaS) and Software as a Service (SaaS) set the company apart. More recent numbers show Microsoft continuing to climb: In the three-month period that ended Oct. 30, Azure revenue increased 76 percent. With the release of those numbers, Microsoft CEO Satya Nadella also pointed to Azure's broad offerings, highlighting that the company added more than 100 capabilities during the quarter. With momentum fueled by this wide set of features, it's no surprise Microsoft is attracting new industries - even ones traditionally tied to mainframe systems, like the financial and insurance sectors. Historically, the financial sector - particularly the insurance and banking industries - have been slow to adopt new technology. Because of strict regulations and concerns over data security, these industries often drag their feet on change. However, innovation in other industries is rapidly changing the expectations of financial sector customers, and leaders at banking institutions and insurance companies are quickly realizing they need to enhance their products. These enhancements are not possible in the mainframe environments they have relied on for years. Take the health insurance industry, for example. Big players are slower to innovate - they have massive amounts of legacy technology and operations to maintain. As a result, smaller players have swooped in with better solutions, leaving even the most recognizable names in the industry scrambling to catch up. These large insurance providers are hungry to provide more tech-enabled features - like offering benefits to insureds who log high daily step counts on their smart watches - but are often saddled by legacy tech. It's easy to see why Azure's flexible offerings, easy integration and broad feature set would be attractive to an industry playing catch up. Change is a constant, and predictions are never easy in the cloud wars. However, it is safe to bet the insurance and finance industry's attraction toward Azure will be coveted by other players like Amazon and Google in 2019, so expect to see the pair boasting their hybrid-cloud capabilities and larger feature sets in the coming year. Also, expect change to accelerate. Google recently announced Diane Greene, the head of the company's cloud division, is out in early 2019 and will be replaced by former Oracle President Thomas Kurian. And AWS plans to ditch Oracle databases altogether by the end of 2019 - a sign of a particularly contentious relationship between the two companies. In 2019, the only sure bet will be that competition will heat up between the big three of Amazon, Microsoft and Google. The real question will be which new markets these three players will corner first. 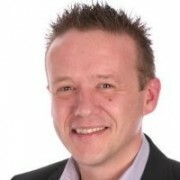 Gordon McKenna is the CTO of public cloud at leading hybrid IT managed service provider, Ensono. He helps customers, particularly those with legacy IT such as mainframe and midrange, transform to the cloud. He is a 14-year Microsoft Cloud and Datacenter Management MVP with over 20 years of experience in the data center and cloud space.